The rooms provide both a stylish refuge and a place for networking. Among other things, this is ensured by free WIFI/ADSL and a connectivity panel with USB and HDMI ports for the XXL transfer of images and sounds onto the HD monitor. 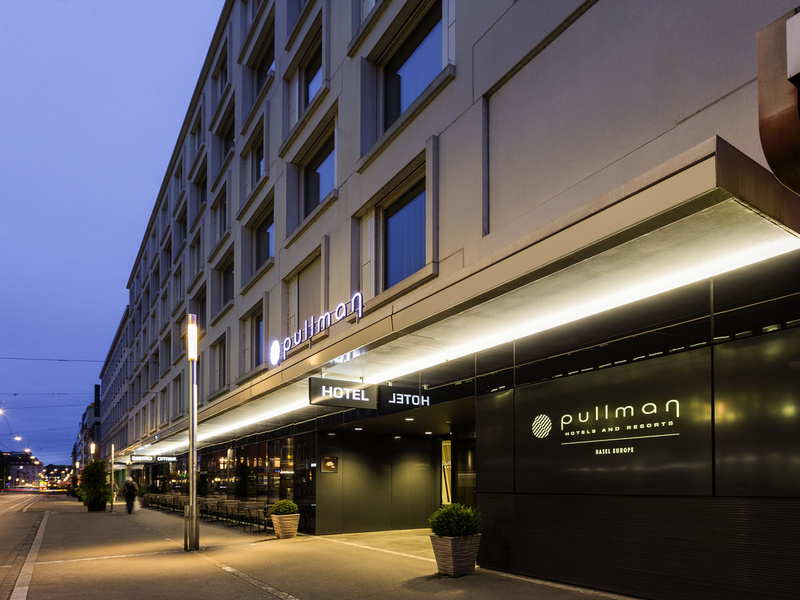 Pullman hotels are places to meet people. The best example of this is the hotel's new "Europe Bistro." Here, you can meet for a casual lunch or dinner and enjoy delicious regional specialties. The stay was great but I did not receive any recognition as a Gold member. No offer of a room upgrade, even though the hotel seemed half empty, and I had to ask for my drink voucher. I know the hotel well as this has been my 6 of 7th stay. Nice reception and I'm very happy with the upgrade I got. I enjoy the location of the hotel and even being so close to all, it's a quiet oase. I am always treated very well by your staff. One of the main reasons I choose your hotel is the ability to get assistance with the printing of my documents for my business meetings. Your staff gladly helps me, but I tried to use the business center printer to not bother them. It was not working due to the Yellow toner being out. I told the front desk and they said they would order some but did not keep toner on hand due to cost reasons. The second day I checked and nothing had happened. Again, your staff was glad to help me print out what I needed. This was just annoying not to see the problem resolved. We booked 3 nights via the Accor reward scheme, of which we are members. A total price for 3 nights was quoted and we booked the B&B no refund deal as it seemed the best value. Only after booking was the price broken down and we realised that the second night was twice as expensive as the first night and the third night 3 times as expensive as the first night. We subsequent found out this was a price hike due to a trade show in the exhibition centre. We also thought parking was very expensive at 24 CHF per night. It seemed very much a business traveller style of hotel. I did not sleep for 2 nights because of the Fasnacht outside my window. Someone at the hotel really should have given a courtesy notice either during the time of booking, and ESPECIALLY during check in that my room would be located facing the street where people play trumpets and drums until 4AM in the morning. Bed was soft, pillow was soft and thin. I missed having muffins for breakfast but everything else was very good. The staff were more than helpful and always very very nice. My fourth time to see Fasnacht. Hotel is ideally placed by a Fasnacht Committee judging point so all marchers are presenting their best. Lovely comfortable room on the first floor front so able to rest there when it rained and still see the parade . Staff very friendly and hotel facilities superb. Very good, great location and useful amenities. My Family and I got a free room upgrade that I did not expect which was very nice. Furthermore the room was very spacious and it was very clean. The best hotel experience I've had and I am very pleased with the price I paid for it. Good experienced personal with special care to me and my family. I felt in a soft hands care. I was very pleased with my stay in your hotel. Quite and spacious room in the residence, well equipped meeting room. Excellent business lunch in your restaurant. Everyone at the hotel was very helpful and friendly with us. we enjoyed our staying. we would definitely choose it when we travel abroad. The stay was pleasant. The person working at the front desk was very nice, and checked us in early since there was an available room. The 24-hour fitness facility was very convenient and clean. I will stay there again when I come back in June. Everything was excellent (Check in - check out - room - housekeeping - breakfast - lobby - elevators etc.) Staff extremely good, polite and helpful. Congratulations! Everything was great, excellent front desk, housekeeper and bfast staff during my stay. But breakfast is very simple and timing should be a bit longer, say 11am. Shower (the cold/hot water tap) should be more stabilize instead of intermittenly cold and hot. Not enough staff at check in and the basics were missed.